Fellowship Reviews: For What It's Worth: Free Comic Book Day - Are The Big Two Missing the Boat? For What It's Worth: Free Comic Book Day - Are The Big Two Missing the Boat? Here's what they put out this year. What do we have? 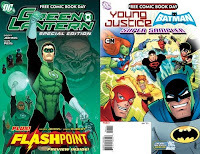 Marvel promoting two of their summer films in one book, while DC promotes their one summer film and the big comic event. Spider-Man is a safe bet and the other DC is geared for the kid in all of us (plus promote their animated shows on Cartoon Network). Quite honestly, VERY SAFE CHOICES. Why do they need to do free comics on characters that will be in movies? They have already glutted the market with books that have the characters in them (too many to mention here). Shouldn't they try to promote OTHER books, especially if they are in trouble of cancellation? Let me give you an example. A couple of years ago (on Free Comic Book Day), I picked up a book by an independent publisher Th3rd World Studios. 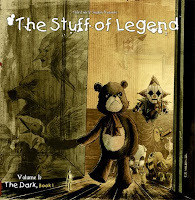 The book was called The Stuff of Legend. The story takes place in Germany 1944. A boy is kidnapped by the Boogeyman from his bed and dragged into the closet. A small group of his toys, led by his favorite (the teddy bear) and his puppy go into the closet to rescue him. 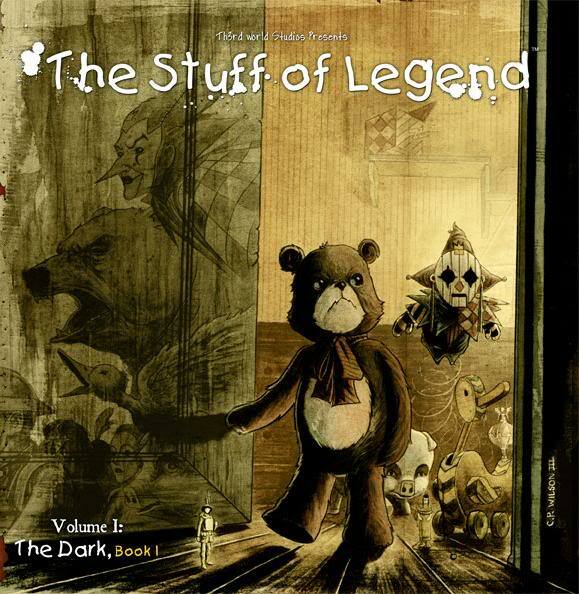 Once inside, the bear, the dog, the indian princess, the soldier, the jack-in-the-box, the ballerina, and the pig become real and battle the Boogeyman's evil forces. Great story, great art, wouldn't have known about it if it wasn't for Free Comic Book Day. 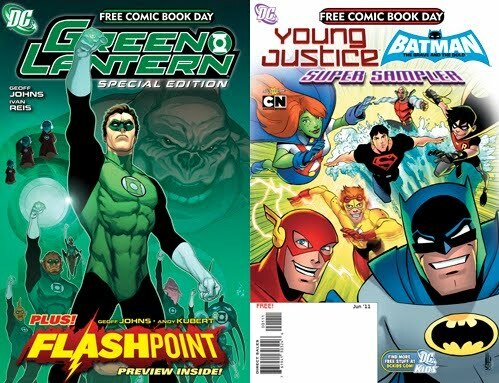 And the big two would not have made it a free comic. 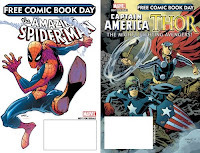 For example, Marvel has cancelled two books I followed: Young Allies and Spider-Girl. Why? Low sales. Why? They fricking didn't promote the book. So they'll kill off these books and add another Deadpool or somesuch. I mean really, how many books can this character support? Then you have Wolverine and Spider-Man in a dozen teams as well as their own half a dozen books. Too be fair, Batman and Superman have a lot of books as well. Why? Safe choices. Will they change? Probably not. They'll go with what works and this works. But is the comic community better off for it. I would say no.